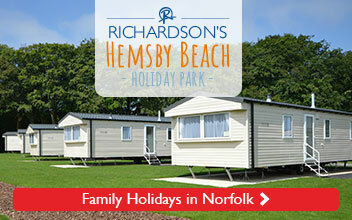 Norfolk is beautiful within its own right, with over 90 miles of gorgeous coastline, beautiful rural countryside, and stunning country houses and mansions that are a treat for the eyes. On top of this, Norfolk is also home to the upper channels of the Broads National Park, a man-made National Park with stunning views, rare wildlife, and miles and miles of navigable waterways. Houseboats and lodges are a another way to experience the beauty of the Broads. Often, visitors to the Broads National Park choose to explore the waterways by cruiser, and at Richardson’s we have over 300 hire boats and over 70 years’ experience helping people enjoy the Broads, so we know a thing or two about the natural beauty of the Broads and the many ways visitors can enjoy it. Houseboats are the midpoint option between boat and lodge. If you’d prefer to have a set place to rest at the end of the day rather than cruise from destination to destination, but want the experience of the Broads National Park up close and personal, then houseboats are a fantastic option. Without thinking about mooring, navigating the rivers, or journey times, a houseboat makes for a great basecamp and gives you the option to bring the car along and explore the Broads National Park this way, benefiting from shorter travel times, whilst enjoying sleeping and waking up on the waters of the Broads each day. 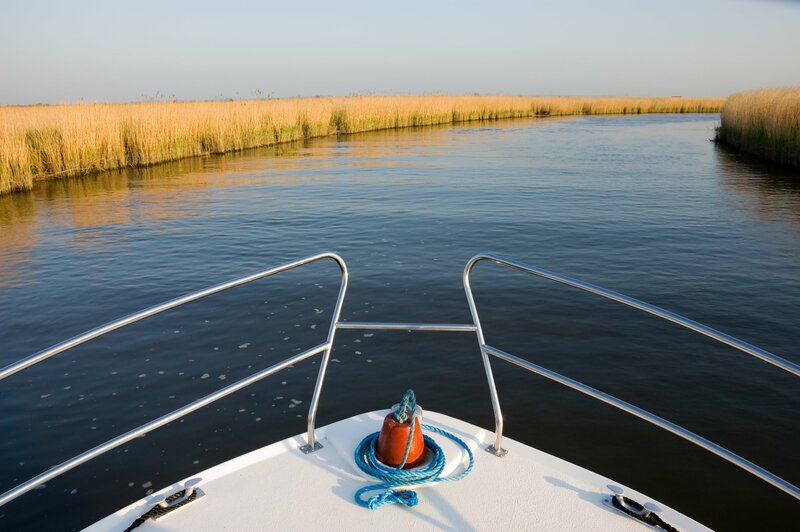 Plus, if you want to explore the waters of the Broads then this is possible by dinghy! There is also the option of lodges. Whilst not in the midst of the Broads – when visiting by boat, you are quite literally on the Broads – staying in a lodge can bring a lot of similar aspects as a boating holiday. Some lodges are riverside, providing stunning views and relaxing surroundings. Being so close to the water means that some of the county’s rare wildlife may be visible, from the swallowtail butterfly to the elusive otter. Plus, if you do decide to explore the waterways, then Richardson’s Day Boats in Wroxham have plenty of day launches that allow you to be the captain for a day.